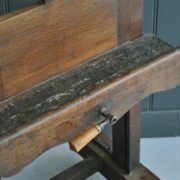 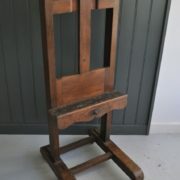 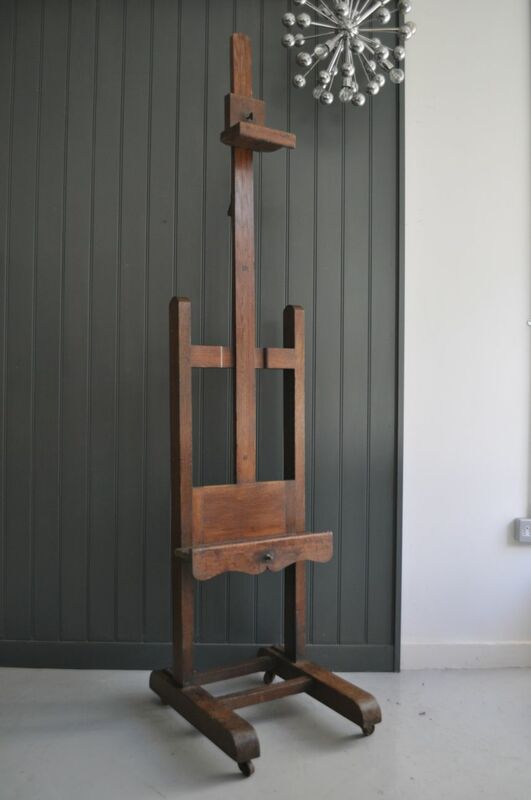 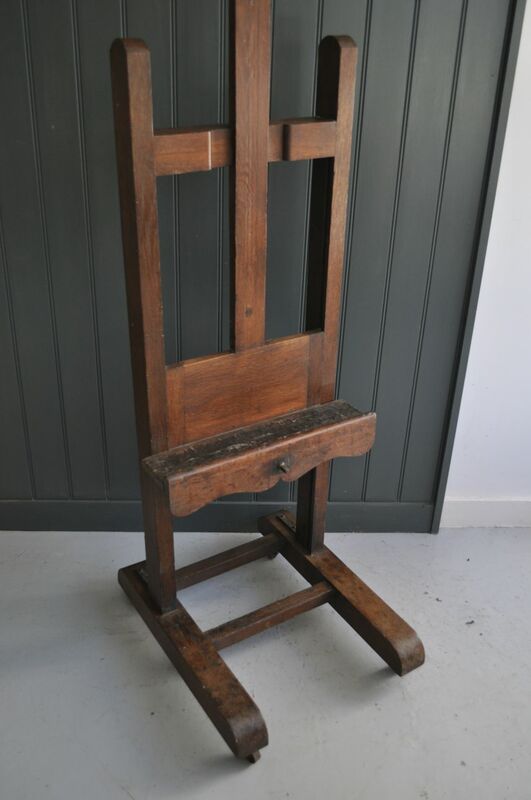 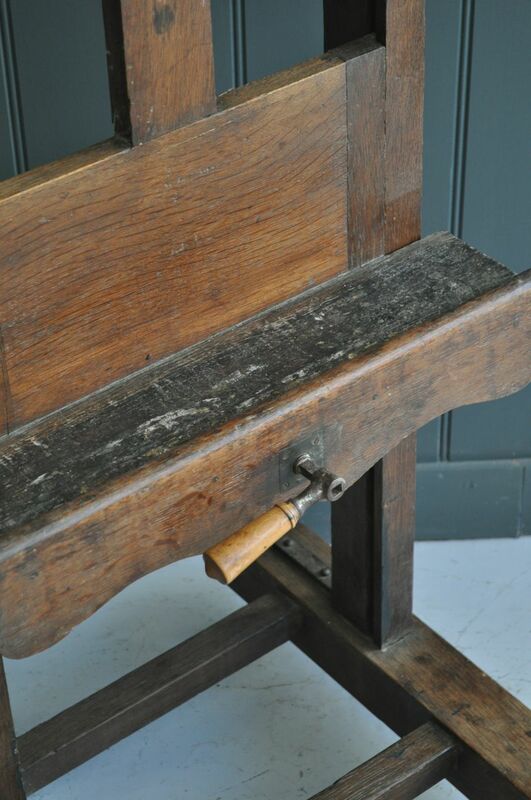 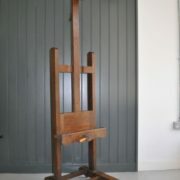 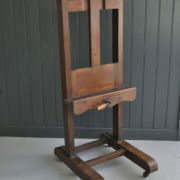 Handsome oak artist's easel, with a cranking handle to raise or lower the bottom shelf, and an upper oak bracket that can also be adjusted to suit. 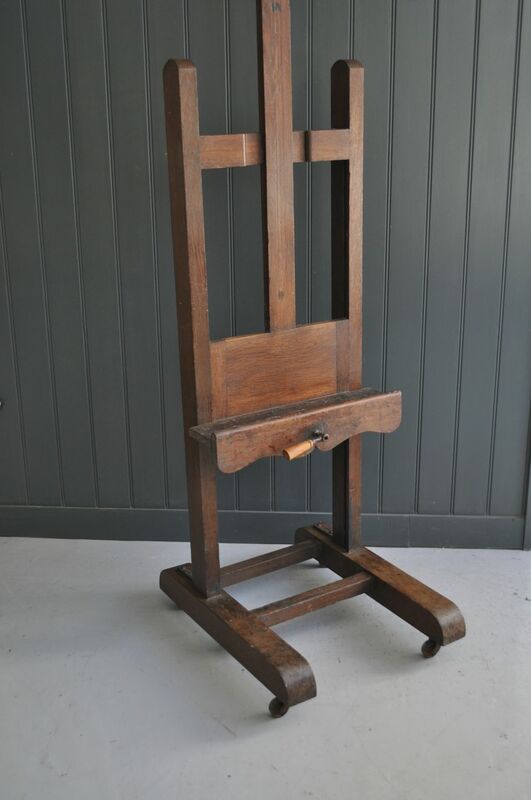 Some wear in keeping with age, but good and stable, and nice unmolested condition. 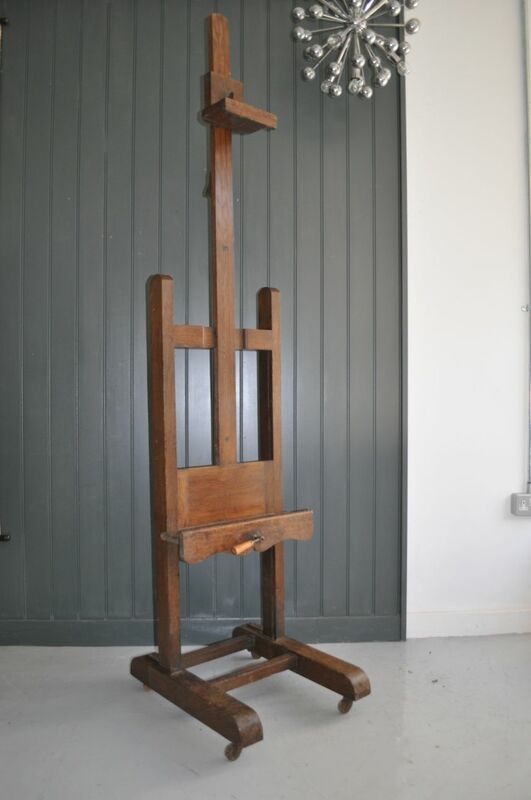 A lovely thing, and increasingly rare and sought-after.